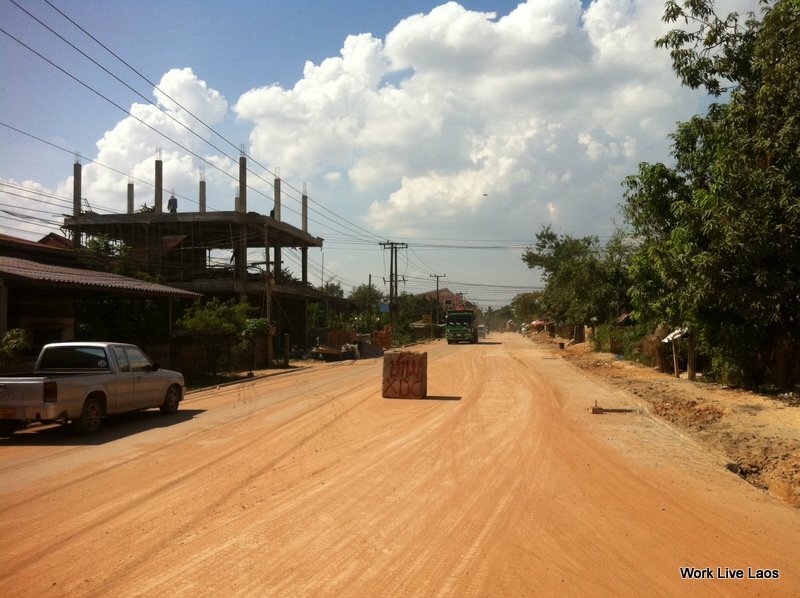 A stretch of road between Donnokkhoum, Sangveuy and Chomphet Villages, as well as another between Sounmone, Sangveuy and Dongsavad are to be completely resurfaced by the end of the year. Last month was the proposed completion date for the upgrade of the two road stretches but works have been delayed due to removal of existing infrastructure and buildings, as well as and logistical problems regarding the procurement of construction materials. The sections of road, under a 144 billion kip project (about US$18 million), are being upgraded and resurfaced with concrete 11 m wide, and equipped with drainage facilities on both side, along with 1.5m sidewalks, and traffic and lighting facilities. “This section of road is 7.8km long. Since construction commenced two years ago, the Donnokkhoum-Sangveuy-Chomphet Road, stretching 4.8km, is seventy percent complete. 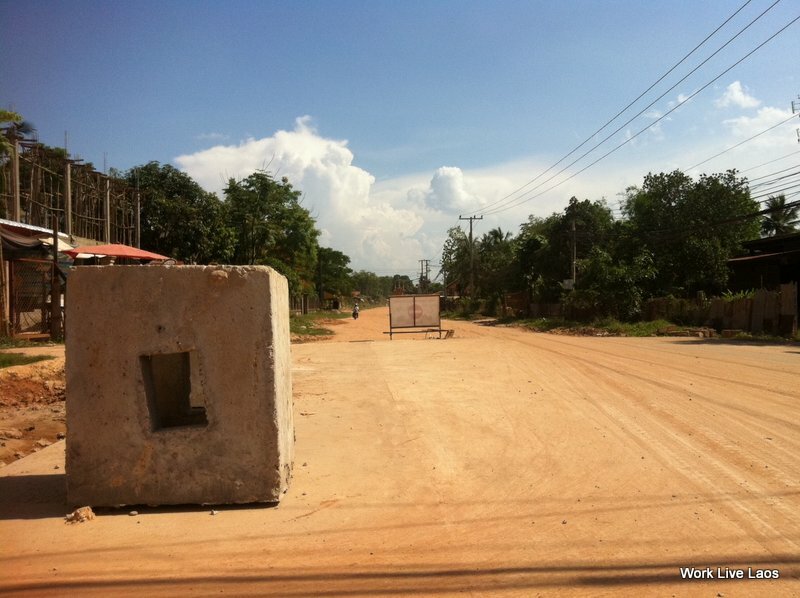 Meanwhile, the Sounmone-Sangveuy section, which is 500m long, has only ten percent remaining, and the road distance between Dongsavad and Sangveuy, which is 2.5km long, has been 60% upgraded so far,” said Director of the Asia Joint Development and Construction Company, Mr Manachit Fongsuvanh. “According to our agreement with the Government, the project was supposed to be completed in April 2014, but we faced some difficulties because we spent a lot of time removing existing structures, and the import of construction materials was delayed. Despite these setbacks, our company will have it complete within this year,” said Mr Manachit. “We are trying to complete the removal of obstructions and the installation of drainage facilities along Dongsavad and Kamphengmeuang Road, and to finish concreting Dongsavad Road and Donnokkhoum-Sangveuy Road before the rainy season,” added Mr Manachit.